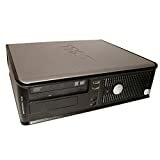 he HP Compaq dc7800 Ultra-Slim Desktop is one of the innovators in the latest wave of energy-efficient yet capable desktops PCs. While the previous generation of green PCs was hampered by slower CPUs and components like notebook-class hard drives, the newest models run full-powered CPUs, and their more energy-efficient power supplies no longer compromise performance. The dc7800 should be on your shopping list if you’re looking for an all-business PC that can save your company money in operating costs. Fresh stunning to look at OS, and is so clear and easy to use! A new look to computing! Zorin OS 9 Core 64 Bit version gives you all the essential features you need from your computer in a fast, secure and easy to use package. Whether you’re browsing the web, doing document work, chatting with your friends or editing your photos, you can count on Zorin OS Core for a smooth desktop experience. Zorin OS is a multi-functional operating system designed specifically for newcomers to Linux. It’s based on Ubuntu Linux, so you can rely on it for rock-solid performance, dependability and support. There is NO need for internet antivirus/internet security software with Zorin it is builtin, the updates are all free! And it lasts until april 2019. 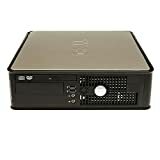 This is a Dell Optiplex 745 sff (small form factor) unit with Zorin OS 9 Core 64 Bit fully installed. Zorin is becoming a worldwide successful operating system. It is now competing with the likes of Microsoft. It is free to download, just go to the Zorin website. There are other programs installed for example LibreOffice 4.2 which is just like and as good as Microsoft office. Gimp Editor 2.8 which is like Photoshop. Rhythmbox for music/mp3 player. VLC Media Player for mp4 video’s DVD films among others. BleachBit which is used to clean the system of those annoying files that slow down your PC and finally Mozilla is also here. Plus there are loads more GREAT software titles pre-installed. There are 100’s of free programs to install if you choose to, these are located in the software centre. To get the full use out of Zorin an internet connection is required. It is RAM packed full of AWESOME free software. Please Note, No discs are provided with this unit, you get only the fully working unit as shown. A 3 pin power/kettle lead fitted with a 3 amp fuse will be required. Front Connections are: -2 USB -Headphone -Microphone. On the back connections are: -6 USB -Network -VGA -Sound out -Microphone in -Serial -Parallel. Motherboard Expansion Slots: -PCIE X16 -PCI. There is an internal speaker.